On November 15, Chris Cornell’s widow Vicky attended a fundraising dinner for The Los Angeles Committee of Human Rights Watch at the Beverly Hilton Hotel, where she accepted the organization’s inaugural Promise Award on behalf of her late husband, for his song ‘The Promise’. Vicky was accompanied by Chris’s bandmates, Kim Thayil and Matt Cameron of Soundgarden. Watch Serj Tankian present the award to Vicky, Kim and Matt here. The presentation was followed by a special performance of “The Promise” by Ryan Tedder and Drew Brown of OneRepublic. Inspired by the film and song that powerfully depicted the atrocities committed against the Armenian people; the award recognizes an outstanding song, television show, or film that advances the values of equity and justice in an original and powerful way. 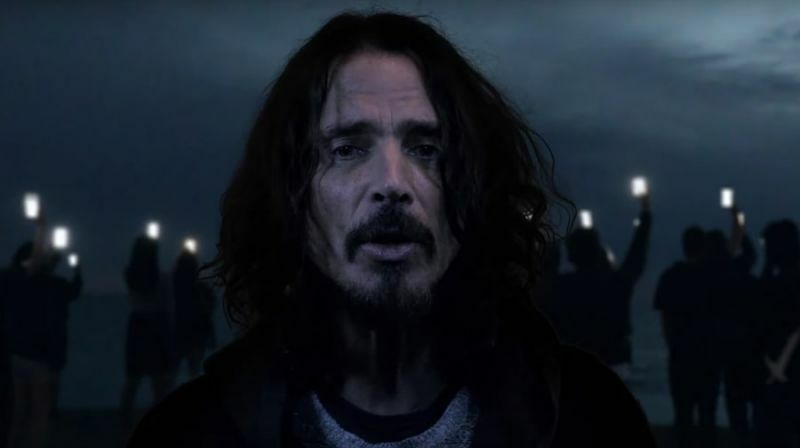 Fittingly, the inaugural honor was awarded to the late legendary singer and songwriter Chris Cornell in recognition of his song, The Promise. The award was presented by Producers of The Promise Eric Esrailian, Mike Medavoy, Writer/Director Terry George, and Singer/Songwriter, Human Rights Activist, and Composer Serj Tankian. All proceeds from the song go to benefit refugees and children, and the dinner raised over $1.8 million, setting a new fundraising record for the Human Rights Watch’s LA Chapter.